* Montreal is the largest city in the Canadian province of Quebec. * Montreal is the second-largest city in Canada. Its status of being the largest city was taken by Toronto in the 1970s. * Montréal is actually an island; it is surrounded by the St. Lawrence, Ottawa and Prairies rivers. * Montreal was initially called Ville-Marie (City of Mary). It was in 1775 that the city became known by its original name. * The official language of Montreal, as defined by the city's charter, is French. 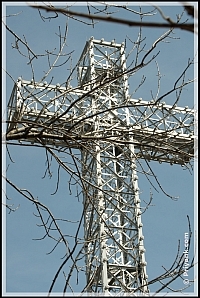 * The city is home to the largest church in Canada: St-Joseph's Oratory. * It is regarded as the ‘sister-city’ to Hiroshima in Japan. * In 2007, Forbes Magazine ranked Montreal as the 10th cleanest city in the world. * In the June 2008 edition, London-based Monocle Magazine ranked Montreal as 16th in a list of the world's 25 most livable cities. 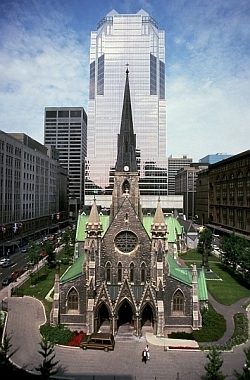 * In 1992, Montreal's 350th year, many of its attractions were expanded and/or renovated. * The first permanent European settlement was created in Montreal in 1639. * Montreal became the capital of the United Province of Canada in 1844. * Its population crossed the 1 million mark in 1950. 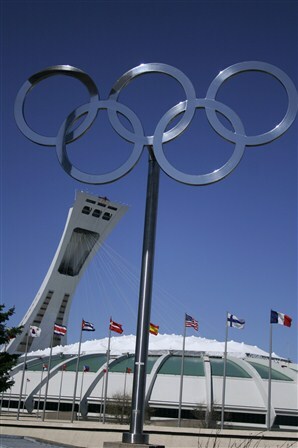 * Montreal hosted the Summer Olympics in 1976. * It is home to an "Underground City", a climate-controlled labyrinth of 2000 shops, spread over an area of 18 miles. * In Montreal, the English speakers are known as Anglophones. * After New York, Montreal has the highest number of restaurants, per capita, in North America. * Mount Royal Park was designed by Frederick Olmsted, the same person who conceived Central Park in New York City. * One of the major urban areas of Canada, In fact, the city is regarded as one of North America’s great cosmopolitan cities. * Montreal is one of Canada’s most important ports and is a vital transshipment port for sugar, grain, oil, machinery and certain other manufactured goods. * The city is also an important railway hub, with an underground rail system called the Metro, inaugurated in 1966. * Montreal lies at the base and the foot of Mt. Royal, from where the place received its name. Around this mountain lies a large wooded park that extends till the center of the city. * Some of the major attractions within the city are an environmental museum, insectariums, a museum of fine arts, a museum of contemporary arts, an amusement center, casino and large botanical gardens.